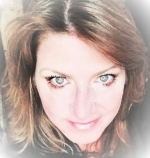 Michele's Bigness: Psychic and Medium, Master Channel, Past Lives, Intuitive Coach and Healer. Michele's reputation continues to grow nationally and internationally. Having many years of experience, positive reviews from clients, celebrity readings and media attention rank her as one of the Most Trusted Psychics in the World, known for giving a "true psychic experience", as the real deal. Published Author: Planting Seeds on Concrete, Max Noble and Andromeda's Muse. Her user friendly website is provides helpful information and secure easy scheduling with direct access to her calendar. "After a few minutes, you forget you are in a reading with Michele, even though she's saying things, even your friends don't know!". "This woman, whom I’ve never met before, says things that are chill-inducing in their accuracy —"
"Richmond-based psychic "gives the best readings I've ever experienced .."
"Whenever I get a psychic reading from you, I don't think if it's going to happen anymore, I just plan on it." I just had my first reading with Michele and was left speechless. I've had many readings over the years. Her guidance and specifics were breathtakingly accurate and no comparison. What she told me, NO ONE knows but me. Michele's style is easy going, to the point, detailed and answered all of my questions. She is more than the real deal. I will definitely call her again and highly recommend her. If you are skeptical, please know that Michelle Bigness is the real deal. I have used her twice and was always very happy with my readings. She was kind with her delivery and helped me work through two breakups. She gave me the answers I needed to move on and to give me hope. A one hour session helped me get through something that would have probably taken me months to get through on my own. She improved my mental and spiritual health. I am forever grateful! In a reading Michele mentioned a shift that I experienced when "inside a metal container, and I couldn't get out". I didn't recall it--we moved on. That night, when calling my mother to ask about reading topics, she mentioned that I was a different person ever since I was "7 YOA and was trapped in an abandoned dishwasher and I was able to finally kick open the door and avoid suffocating TO DEATH". I DID NOT remember it until that very second. Michele is the real deal folks, no doubt about it! Michele is amazing! She validated very specific things, she is absolutely the real deal. She was able to relay information to us from loved ones on the other side. She knew that I had questions that I needed answered, questions that I didn't even know I needed answered until I had the answers! The information I have received from her has changed my life in wonderful ways. She is honest, straightforward, and very positive. I can't suggest her highly enough! My second reading with Michelle was a success. She contacted my son who I miss and to be able to communicate with him met a lot to me. It is very difficult to lose a child but Michelle changed that for me. Thank you so much for the reading today. Its was so on point and not expected what I thought I would hear come thru. I wrote down points that were important once finished I typed them up; I have two pages of accurate information to share with family. Thanks again for sharing your gift and giving me your time. I had my first reading with Michelle on 7/31/15 and I must say, I have been missing out for a while. She knows her stuff and delivers it in a manner without prying for information. I didn't have to talk much, my spirit guides told her everything. I was baffled by the accuracy. Michele worked with my spirit guides to offer me comfort and to have me understand, my guides were present to help assist me. Thanks GOD for angels! Michele is truly indeed a jewel. I look forward to our next reading! This was my first reading....ever! And what an awesome experience!!! Michelle is absolutely incredible. She was very personable and made me feel so comfortable. I was a little nervous but she put me at ease right away. I am looking forward to another reading and the chance to reconnect again with my loved ones. It seems there were many who wanted to speak to me but my Dad was keeping them at bay....too funny!! Only my Dad!!! Thanks so much Michelle!!! I awakened in 2009 and have avidly pursued spiritual knowledge since then. I have received many readings. Michele is top of the list. Her channel is so amazingly clear, and like the other reviews you read of her, I can confirm, her accuracy is breath taking. Her predictions materialized even sooner than I thought, but most importantly she understands and clearly conveys the spiritual energies involved to guide me to my highest and best good. Deepest gratitude. This is the first time that I have used a Psychic / Medium, I began a with an open mind but offered nothing because of the nature of the profession. Michelle was "spot on" with me right off the bat. She said things that only I know, she even repeated phrases that I have said. I was at a Personal and Professional crossroads and she helped me to identify my direction with tenderness and caring. Im amazed and thankful for Michele, I will continue to work with her, She is the genuine article. Michele is a Godsend. I contacted her and she was awesome. I called for resolution of one situation and she helped me gained closure. In addition, she helped facilitate a discussion with my mother who passed away a year ago. I was blown away that she knew my mother's date of passing and specific details. She helped me enjoy my mother's zany sense of humor once more. Many thanks to her. I'll be requesting services from her again. I was definitely nervous at first only because of what I might find out, but all my apprehensions quickly evaporated as soon as Michele started to speak. She was very down to earth, has a great sense of humor and just puts you at ease. She told me things that were spot on, so now I am anxiously awaiting for some of the things that she predicted to happen. I highly recommend you call Michele, you'll be glad you did. If you're on the fence, don't give it a second thought.......just do it!! This is the first time that I have used a medium, I began a skeptic and offering nothing. Right away she said things that only I would know, I am a skeptic no longer! I am so thankful for Michele, although I am grieving, the information shared with me from my loved one and my spiritual guide lifted a great wall of emotions. I will continue to work with Michele...REAL DEAL! My experience with Michele has been a life-changing event. Through her, I was connected with my husband who had passed 6 months ago. The validations that were made left me with no doubt that I had heard from my husband. Not only that, Michele is a warm, empathic individual and I plan to take her course. She is authentic and it was a beautiful experience. Michelle mentored me in psychic development. I had a great experience with her! She helped me remove blocks I had and gain the confidence I needed to succeed at this. She didn't try to go into basics with me because she knew I didn't need it. She tailored the course to my needs and she was like a personal trainer, giving lots of tough love :) I would recommend her for intuitive and medium development. My reading with Michele was a such a blessing. She told me what I needed to hear, and answered troubling questions I've had for years without me even asking. I also connected with my deceased brother, and she gave me a picture of who he is today - what a gift! She had written notes prior to our meeting which she showed me after I told a story and it was dead on - an absolute match and validation that she was connected to my loved ones. I feel like a weight was lifted off my shoulders. Michele is amazing! When we spoke, I was excitedly skeptic. She knew things about my office environment, what would happen with my job-which it did end up happening!, specifics about my love life-even called my boyfriend out by name! She was so on point that it was freaky, but in a really great way. Not enough words to convey how much I recommend a reading from Michele!!! I had my first conversation with Michele yesterday, and was blown away. She connected me with my brother, who passed away unexpectedly a little over a month ago. She provided details about his passing that could only have come from a first-hand point of view. I felt like I was actually speaking to my brother. Michele is a truly gifted woman, and I am so so grateful that she chooses to share her gift with others. She's the real deal, folks. I'm looking forward to working with her again very soon. Michele is amazing she tells you what you need hear which is the truth and she keeps you laughing i felt like she really cared and was blown away she was right about everything! THANK you Michele for your reading today!! This is my 4th reading with you and you continue to blow me away with your incredible insight & laser accuracy. You have an amazing way of helping me let go of the fear of the unknown and keep me grounded. I ABSOLUTELY love watching everything you say play out, & smile to myself as I see it happen. You are a true delight to work with; your sense of humor makes me smile constantly. I look forward to continue working with you! You are THE BEST!!!! Michele has changed my life in more ways then I can count. She is truly amazing! Her psychic abilities are astounding combined her ability to guide you through life challenges with warmth, knowledge and support. She is irreplaceable! I look forward to every conversation I have with her and turn to her when I need clarity. Michele is genuine and gifted. She has given me advice and knowledge through her psychic gifts that are always exact! Michele is truly a blessing! Michele helped me believe in myself and understand who I am as a person. She doesn't use her gifts for financial gain, but to genuinely help others and make sure they have the tools to continue on their life journey towards happiness. Personally, Michele has become an important figure in my life and has helped me in numerous ways unimaginable. I am blessed to have met such a wonderful person and she became more than a friend to me, but an inspiration. I just had my first reading w/Michele and I am still sitting here amazed. She helped me cleanse my house of negative energy so that I am no longer afraid to be home. My psychic reading left me with my jaw on the table. She knew details about me that I have never shared w/even those closest to me. She helped me achieve in one call, what I have been working to accomplish my entire life. I called for help with spirits but what I got was so much more. I will call again- she is an angel. Thank you!!! Michele is on point! She helped me connect with my son who died unexpectedly. She knew things only me and God knew. I can stop grieving now because I know my son is alright. Thanks, Michele. I'll be back in two months. I had a reading with Michele on weds march 27th...I can not express in words how awesome the reading was...speaking to her was like speaking to a friend that I've had for years...she put my mind at ease about so many things....I recommend her to anyone who is looking for a true, genuine reading. I can not wait for my next reading and see what comes of what the guides have told me....this chick is legit!!!! Loved her!!! Coffer rocks!! I felt such a connection with Michele. My dad had passed away 18 months ago. My grief at times was overwhelming. Since my reading with her, I have a greater peace within. Michele is an amazing person who I greatly enjoyed meeting, and I thank her for helping me with such personal issues. I will definitely contact her for other readings. I have had 2 readings so far and both of them were with Michele. I had so many questions about a past relationship that I couldn't resolve on my own. She completely understood me and what I wanted to know. She gave me understanding, peace of mind and allowed me to move forward. I highly recommend her and I will be using her again in the near future. When I called, I was a little sceptical but, once I recieved my reading I knew she was real. She lead me in the right direction when it came to my divorce and what was about to occur! Thanks Michelle for all of your help and support. I will certainly come back in the future!! After speaking with Michelle for an hour, I felt more at peace with life. My primary concern was my work and she lead me down a few paths that could be without telling me I should or shouldn't take them. She also shed light on other aspects of my life that worried me. I had a reading with her about 1-1/2 years ago and she was able to give me detailed information re: my father, who crossed over, including his name and his personality. She made me feel comfortable. I highly recommend her!